To Sleep, Perchance to Dream . . . Free on September 11, 2013 | Victor D. López, J.D., Esq. 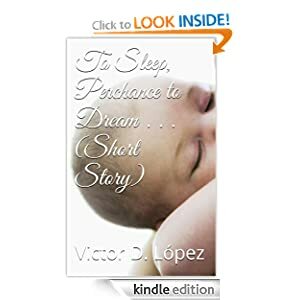 The Kindle version of my short story, To Sleep, Perchance to Dream, is available free only on Wednesday, September 11, 2013). It is one of the eight stories that appears in my Book of Dreams Second Edition: Science Fiction and Speculative Fiction Short Stories.